This specimen is a well perched multi-colored tourmaline on quartz. 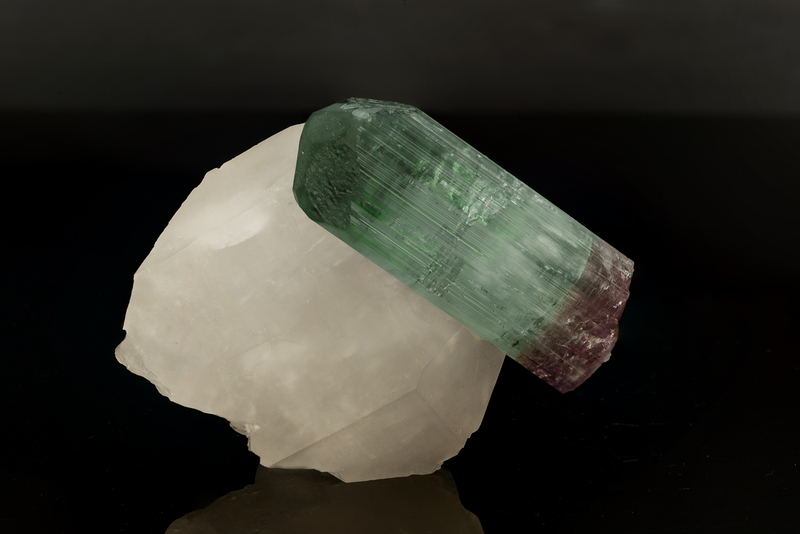 A fine crystal on its own, this tourmaline displays brilliant pink to mint into evergreen gradation of color. It's very pristine with virtually no damage besides the base. It features an admirable complex termination with gemmy sections running throughout. This bright tourmaline is well contrasted on a nice chunk of quartz.